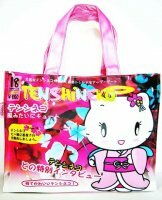 Reviews: Tenshi Neko Kimono Kawaii Shoulder Bag , Large Handbags , Bags : Starscastle Online Shop: Cute Bags, Accessories, Kawaii Stationery, Cool Wallets, Fashion Jewelry & More! been looking for tenshi neko products.so cool to have found the many styles in this store! this bag can really store all the things I carry around.